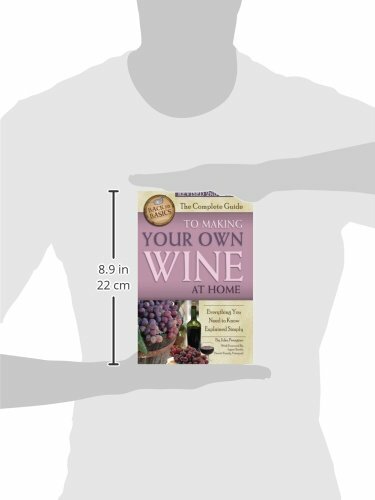 Newly updated in 2015 and packed with pertinent information, this book walks every potential winemaker through every process necessary for creating and enjoying wine from the comfort of your own home. From the basics of distillation to the ingredients used, homemade wine can be on your table and wowing guests in no time. More than 100 winemakers, winery owners, and home wine experts were interviewed to gain a general overview of how winemaking is done, with details about the difference between each wine, the right mixture of ingredients, the better wine taste, and the testing and trying of new things in each bottle. You will learn how to measure and affect the sulfur dioxide levels in your wine and ultimately how to take control of every aspect of your wines, from taste to dryness to odor and color. 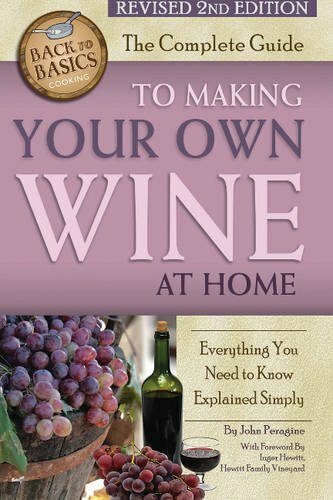 Everything you could possibly want to know about wine making and much more is presented in this complete guide for anyone with an eye for the hobby.